Today’s feature is a 1981 horror movie headlined by Clint Howard: Evilspeak. Evilspeak was produced, co-written, and directed by Eric Weston, who has been behind a handful of low-budget flicks over his career, including Hitters, Cover Story, Pressure Point, To Protect And Serve, The Iron Triangle, and Marvin & Tige. The cinematographer on Evilspeak was Irv Goodnoff, who also shot the movies Xtro 3, Shatterbrain, and The Van, among others. The editor for the film was Charles Tetoni, who also cut the films Halloween 5 and One Dark Night, and was an associate editor on Capricorn One and The Star Chamber. One of the producers for Evilspeak was Sylvio Tabet, whose other credits include The Cotton Club, Dead Ringers, The Beastmaster, Beastmaster II, and Beastmaster III. The music for Evilspeak was provided by Roger Kellaway, who composed scores for 1976’s A Star Is Born, Satan’s Mistress, Jaws of Satan, The Dark, and The Silent Scream, and conducted for 1978’s Invasion of the Body Snatchers and Invictus. The effects work for the movie was done by a team that included Peter Knowlton (Flipper, Cool as Ice, Beethoven, The Creature Wasn’t Nice), Allan Apone (Going Overboard, CHUD II: Bud the Chud, Deep Blue Sea), Robert Clark (Starship Troopers, Mimic, The People Under The Stairs, Fortress, The Pit and The Pendulum), Francisco X. Pérez (Hesher, Con Air, Waterworld), Douglas J. White (CHUD II: Bud the Chud, Merlin’s Shop of Mystical Wonders), John Carter (Maniac Cop 2), Harry Woolman (Laserblast, Dolemite), and Robert Bailey (Throw Momma From The Train, Killer Klowns From Outer Space). The cast of Evilspeak includes Clint Howard (House of the Dead, Blubberella, Night Shift, Carnosaur, The Dentist 2), R. G. Armstrong (Children of the Corn, Predator), Joe Cortese (American History X), Don Stark (Santa With Muscles, That 70s Show), and Charles Tyner (Cool Hand Luke, Harold and Maude). 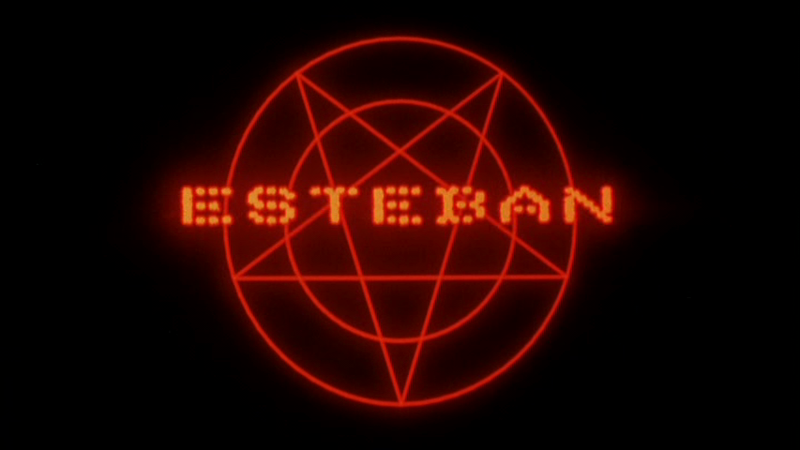 A military cadet who happens to be a social outcast taps into a way to summon demons and cast spells on his tormentors through his computer. 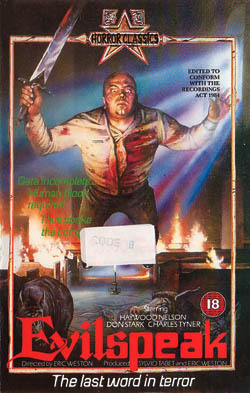 Evilspeak was one of many features to make the infamous “video nasty” list in the United Kingdom, meaning it was outright banned for many years due to its violent and Satanic content. Anton LaVey, who was a noted author and the founder of the much-stigmatized Church of Satan, was apparently a fan of Evilspeak, and of how it portrayed Satan and Satanism. The budget for Evilspeak was somewhere between $900,000 and $1 million. I wasn’t able to dig up any theatrical numbers, which were almost certainly affected by the controversial nature of the film’s plot. Regardless, it has become a cult favorite among die-hard horror fans. Currently, it holds an IMDb rating of 5.6, alongside Rotten Tomatoes aggregate scores of 46% from critics and 37% from audiences. 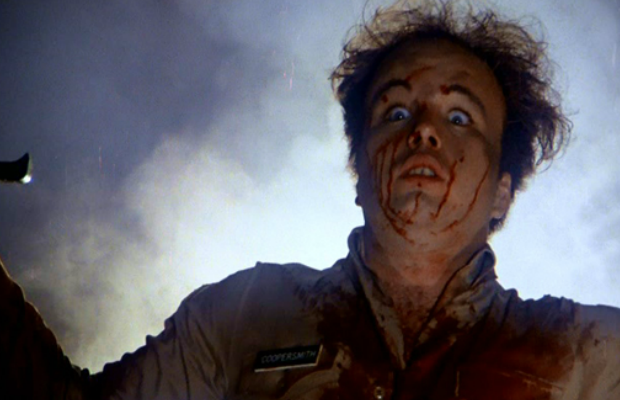 Personally, I think that Clint Howard is solid in his lead role in Evilspeak. He is certainly not someone who is often tapped for lead roles, but this particular character needed someone who could portray a pathetic loser and also garner sympathy, and he pretty much nails that with his performance. The other characters aren’t nearly as well done, and suffer a bit from being exaggeratedly evil, particularly the bullies and some of the school staff. A number of people point to this film as a Carrie ripoff, and I think these excessive portrayals of the “bad guys” is where that influence is most evident. For being so low-budget, the effects in Evilspeak are at least pretty entertaining, and are nothing if not ambitious. 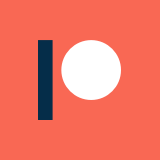 There are a couple of decapitations, a murder via a pack of pigs, and a handful of other creative / gruesome deaths that don’t shy away from any kind of effects challenge. If there is anything I really don’t like about Evilspeak, it is the conclusion. Essentially, it ends on a note that is at once an anti-climax and a pathetic sequel setup: after the murder spree is over, the movie just fades to black, and text comes up confirming that Clint Howard survived, and then teases his potential return. My problem with this is that he already got his revenge, and there wasn’t anything else particularly intimidating about the guy himself. The demon computer is a different case, but it doesn’t necessarily need Clint Howard’s survival to be a threat. Overall, Evilspeak is a fun little piece of grind house horror history. It is certainly a low budget horror deep cut, though it is now available on blu ray after a Shout Factory release last year. Clint Howard is really interesting to see in a lead role before he turned to self-parody, the outdated technology at the center of the plot is hilarious, and the deaths are everything you could hope for from a movie like this. For horror movie fans, this is more than worth digging up. Likewise, bad movie aficionados are bound to get a kick out of this flick. 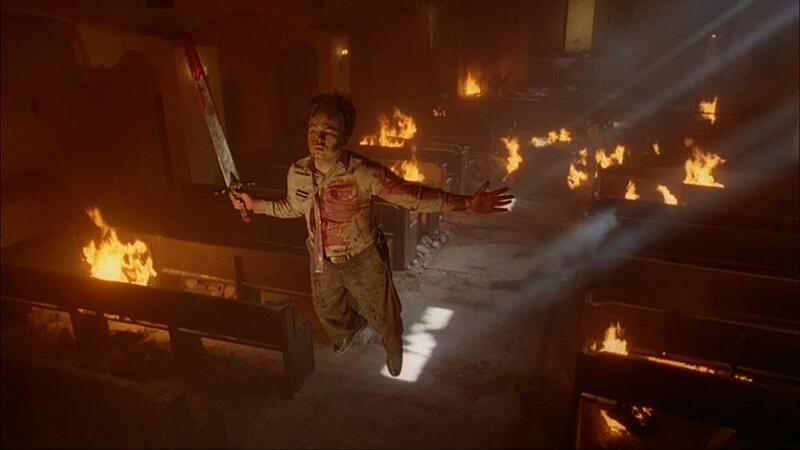 For more thoughts on the Satanic escapades of Clint Howard, I highly recommend checking out the We Hate Movies episode on the movie, Dread Central’s coverage of the recent blu-ray release, and the retrospective review from Daily Grindhouse.